If you have ever been in an area where no one is around and your car breaks down, you might need a device like the one I’m about to review. 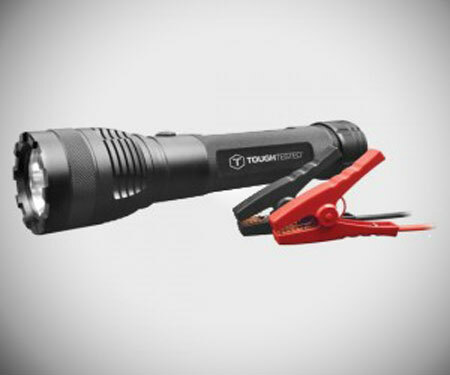 It’s called the Jolt by ToughTested, and it’s a flashlight that can charge your phone AND jumpstart your car! Now, ToughTested makes a lot of products from chargers to Powerbanks, solar products and headsets + more. Their products seem to be geared to those who want heavy duty stuff. This flashlight is no exception. It’s very heavy duty- the metal strong enough to break windows. 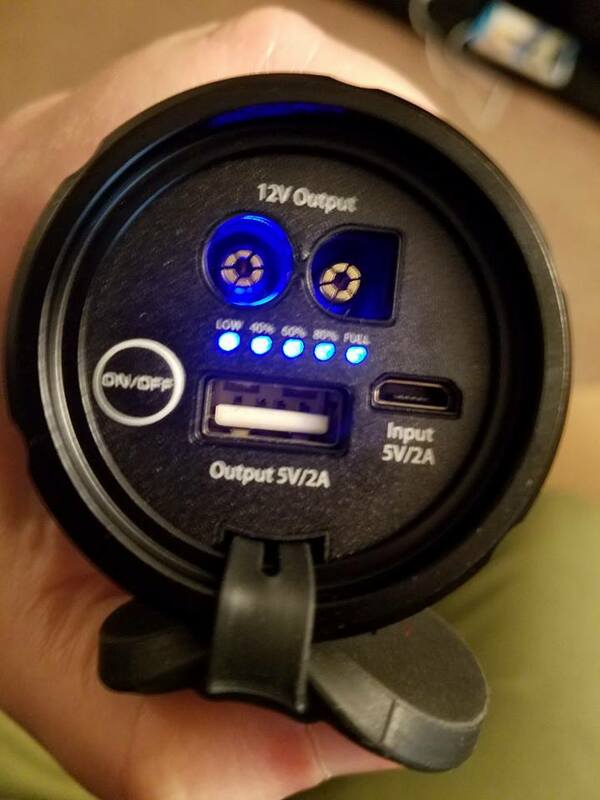 The bottom of the flashlight opens to reveal an input(5V/2A) to plug in the micro USB cable(included). It has the output(5V/2A) to use to charge your phone/tablet/or other micro USB item. An led indicator lights up to tell you how much battery life you have left. It charged my Samsung Galaxy S7 fully and still had 40% left. The 12V output is where you connect the included jumper cables. These items, and also a little USB car charger comes in a handsome carrying bag with two zippered compartments to separate all the items. The jumper cables have instructions connected to the cable that say you need to have over 3 lights to jumpstart your vehicle, so you will probably want to make sure that it is charged every time you go out. We haven’t tested this out on a car battery, but will change the review when we have the chance to do so. So far, it’s been proven to be a nice bright flashlight with 1,000 lumen, and there is supposedly a waterproof level of IP63, however, the safety instructions say not to expose the product to rain or water. Speaking of flashlight, I couldn’t figure out how to get the 5 different modes going (low, medium, blinding, seizure-inducer (or strobe), and SOS mode). My 14 year old figured it out for me, though. Just press lightly on the power button after you have turned it on, and it will rotate through the modes. I would suggest that the company send a little more detailed instruction book, but the jump starter cables do have good instructions on how to work them connected to the wire. All-in-all a nice product to have in case of an emergency. It does have a big price tag of $189.99, but the portable jump starter article that I linked does say that the best ones are more expensive, so maybe that’s a factor. Disclaimer: ToughTested sent us this product for free to review in exchange for a fair and unbiased review.